Get your i3 in winter mode with this great set of four German wheels and Finnish snow tires. They look better than the OEM rims (at least in my opinion) and they're light and tough. If you haven't experienced proper winter tires, now's the time - they make the i3 a strong snow performer. 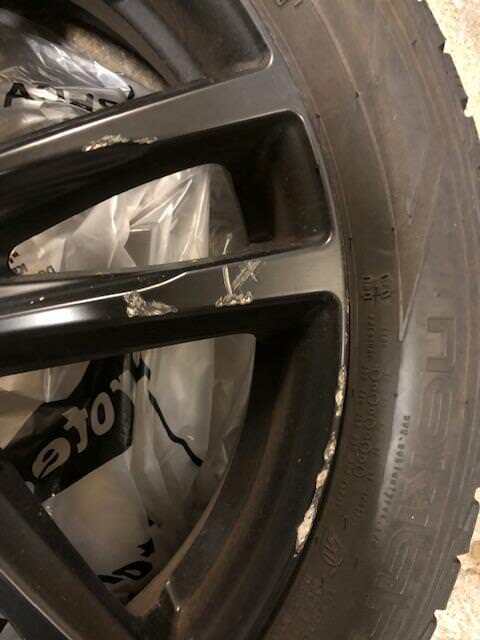 They are fitted with BMW TPMS and their own center caps. The tires have seen 15,000 miles and have a minimum 3.5 mm or 4/32 tread left, so probably two winters' worth depending on how aggressively you drive. One of the wheels has some minor scratches. Boston MA area. This setup would cost $1800 new. Asking $900. Last edited by hnikkanen on Thu Oct 25, 2018 1:41 pm, edited 3 times in total. Do you have a price in mind yet? hnikkanen wrote: Get your i3 in winter mode with this great set of four German wheels and Finnish snow tires. They look better than the OEM rims (at least in my opinion) and they're light and tough. If you haven't experienced proper winter tires, now's the time - they make the i3 a strong snow performer. 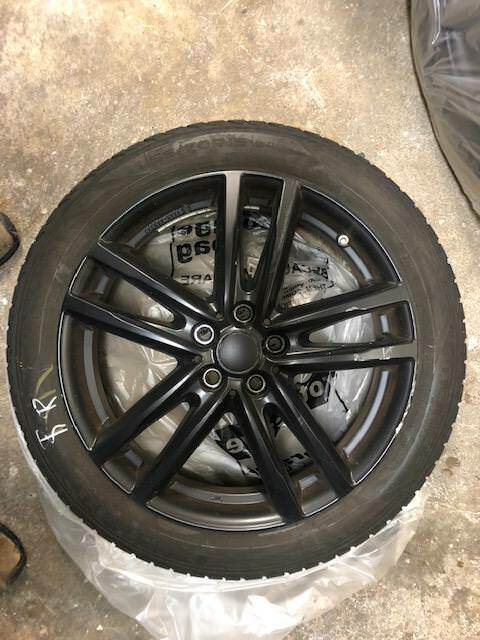 They are fitted with BMW TPMS and their own center caps. The tires have seen 15,000 miles and have a minimum 3.5 mm or 4/32 tread left, so probably two winters' worth depending on how aggressively you drive. One of the wheels has some minor scratches. Photos available. Boston MA area. This setup would cost $1800 new. 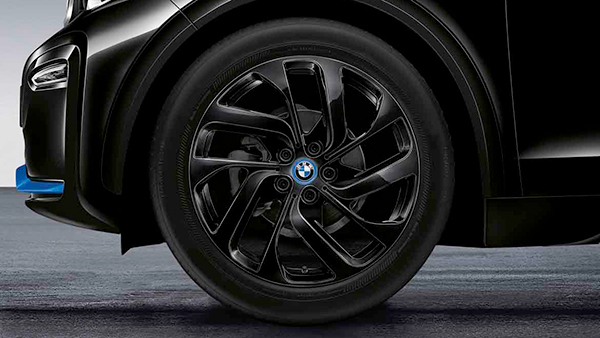 I ordered a set of BMW Turbine style 428 rims in jet black colour with the Bridgestone LM-500 winter tires from BMW. I couldn't even get them from my local BMW dealer as the BMW dealership has to be "i" certified or something like that. That setup does look cool! Makes all the difference too. Enjoy them! Slypig, I was thinking $900. But isn't shipping to you expensive? BTW, the rims are the RIAL X10-i. Are the wheels still for sale? Still available? I'm in Beverly, MA.